Moritz Moszkowski : Spanish Dances, Opus 12. Contains: Minuetto, No. 1 * Villanesca, No. 4 * Zarabanda, No. 3 * Arabesca, No. 12. Composed by Enrique Granados (1867-1916). Collection for solo piano. 170 pages. Published by Dover Publications. Composed by Enrique Granados (1867-1916). Arranged by Ralph Sauer. Spanish National. Solo part and piano score. Published by Cherry Classics (CY.CC2546). (Granados Masterpieces) Composed by Enrique Granados (1867-1916), edited by Luis Sucra. 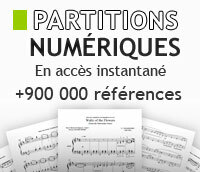 Collection for solo piano. Series: contemporary masterpieces album. 66 pages. Published by Marks Music Company. By Enrique Granados. For violin / piano. Spanish. Score & part. Published by Masters Music Publications. Composed by Enrique Granados (1867-1916). Arranged by Robert Longfield. Set of parts. Published by Tempo Press (TM.10350057). By Enrique Granados. Arranged by Carlos Barbosa-Lima. For guitar. Published by Columbia. Piano Duet. By Moritz Moszkowski. Piano Duet. Size 9x12 inches. 36 pages. Published by G. Schirmer, Inc.
By Moritz Moszkowski. Published by C.F. Peters. By Pablo de Sarasate. For Violin and Piano. Published by Carl Fischer. From the Repertoire of Andres Segovia. By Morenotorro. (Guitar). Boosey and Hawkes Chamber Music. 12 pages. Published by Bote & Bock. By Enrique Granados. Transcr. Manuel Barrueco. For Guitar. Classical Guitar Folio. Book. 24 pages. Published by Alfred Publishing. By Isaac Albeniz. For viola / piano. Score & part. Published by Masters Music Publications. By Moritz Moszkowski. Edited by Scharwenka. For violin, piano. Op.12. Published by C.F. Peters.